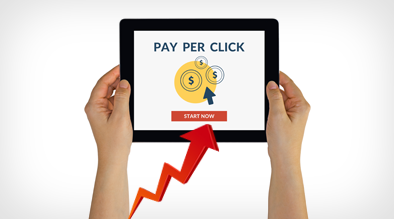 Pay-per-click advertising has always been attractive due to its targeting and control. Unlike its organic counterpart, pay-per-click’s instantaneous showing in search engine results and ability to target based on geo-location, specific keywords, language, time of day, etc. have always been a major selling point. 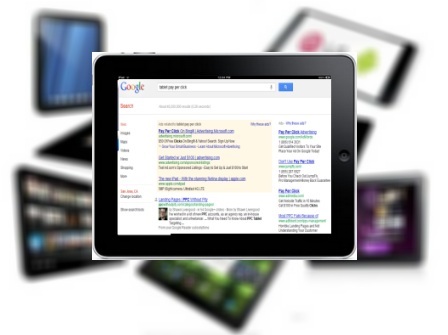 Google introduced tablets as part of their device targeting back in July 2011 – an affirmation of the device’s growth and tip of the hat to advertisers looking to customize their message for the device. In addition to device models, Adwords also allows for targeting by tablet operating system, carriers, and whether or not the device is operating on Wifi (for more information, read the previous article on WiFi targeting). While desktop and laptop searches continue to provide the bulk in clicks for the present, advertisers should continue planning for a more mobile and tablet-based audience moving into the next couple of years. Home Semantic Search and User Sentiment in Pay-Per-Click Ads	Are Your Social Media Efforts Working with Each Other?